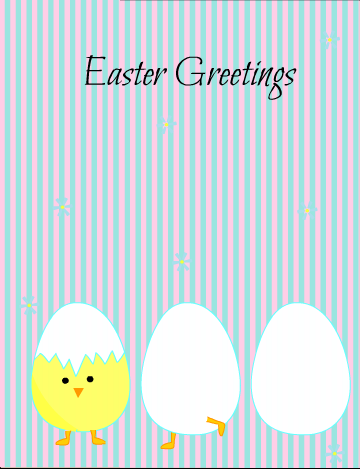 Today I made these Free Printable Easter Greeting Cards with very cute graphics. You can print these cards very easily using your home printer. These cards are 5″x7″ in size but you can also scale these if you want smaller cards. 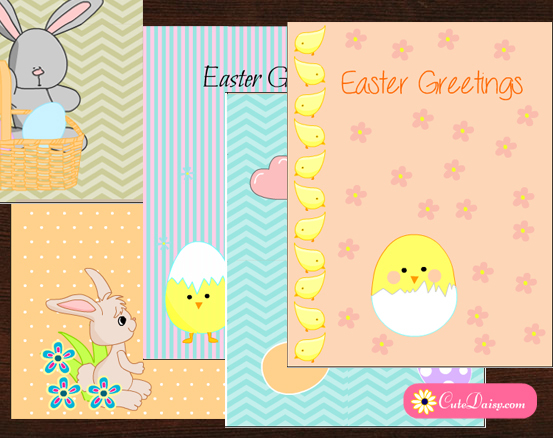 I know that many of you have already seen these graphics in the Easter Planner Stickers but in these Greeting cards I have used these in a different way. 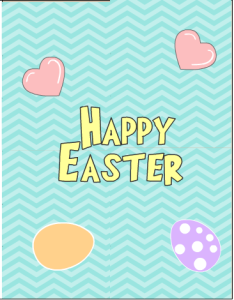 You can print these cards for your kids and grandkids and I am sure that they will love it and if you love cute greeting cards yourself then you’ll like to print these for your friends and family too. 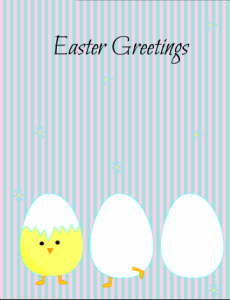 These Easter greeting cards are free for personal use. You are not allowed to redistribute or sell these graphics in any form. 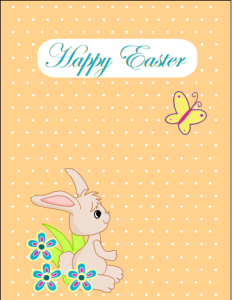 This is the first Easter greeting card that I made today. I have made a cute Easter bunny and flowers on a polka dotted background. 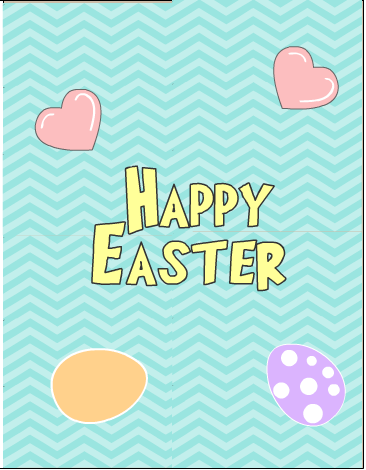 Click here to download this card. 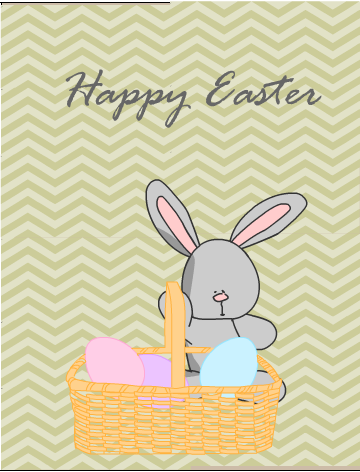 Click here to download this really cute Card printable with a cute chicken and cute eggs. 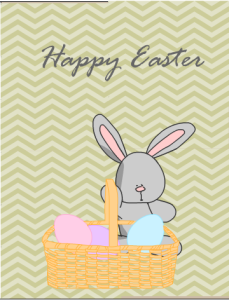 Click here to download this adorable Greeting card with a chevron background, Easter bunny and a basket full of Easter eggs. 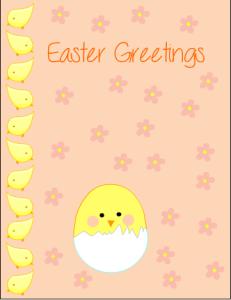 This is a lovely greeting card with cute eggs and hearts. Click here to download it. Click here to download these very cute greeting card featuring cute chicks. Don’t forget to like this post, leave a comment below and share on facebook and pinterest.